The Nissan SENTRA has earned a reputation of offering crisp styling and fun driving characteristics. 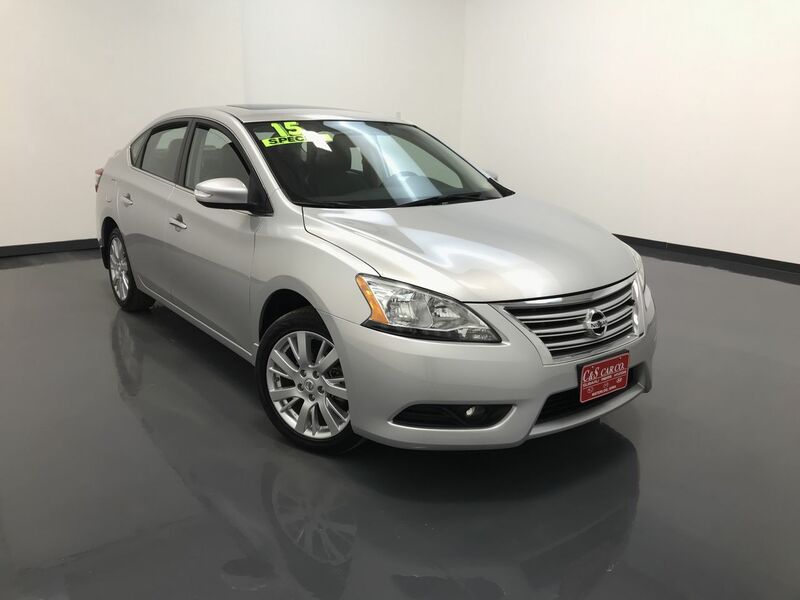 This 2015 SENTRA SL has a leather interior with heated front seats, keyless entry and ignition, dual climate controls, a sunroof, wood grain interior accents, traction control, a back-up camera, and split folding rear seats for increased cargo room. The infotainment system has navigation as well as an AM/FM/CD sound system with XM satellite radio and Bluetooth connectivity. The exterior has 17" alloy wheels with Continental tires, and a rear deck lid lip spoiler. ** One Owner ** Call C & S Car at 866-212-8718 or locally at 319-291-7321.